Fighting a battle with himself and with society, the summer before high school, senior Connor Grimsley changed his life, and the lives of those around him. Around age 14 most teens begin to discover their identity, the things that make them unique. For Grimsley it was a never ending search. “I felt misplaced, I felt sort of like I wasn’t who I was supposed to be. I was distanced from others because I couldn’t even feel my own self. I was sad and I didn’t know who I was. I hated myself to sum it up,” Grimsley said. Growing up he always knew he was different. He was more interested in boy activities than girl activities. He was not interested in Barbie dolls and did not play with them except for with his sisters. Even then he would only play with them if he could be Ken. He liked sports more than makeup or dresses. And he had more guy friends than girl friends. All of these were examples of what made him different. But it was after watching a youtuber who was transgender named Benton the summer before his freshman year of high school, Grimsley understood why he may be different. He said what the youtuber was saying made sense and applied to him. He realized then that he might be transgender too. 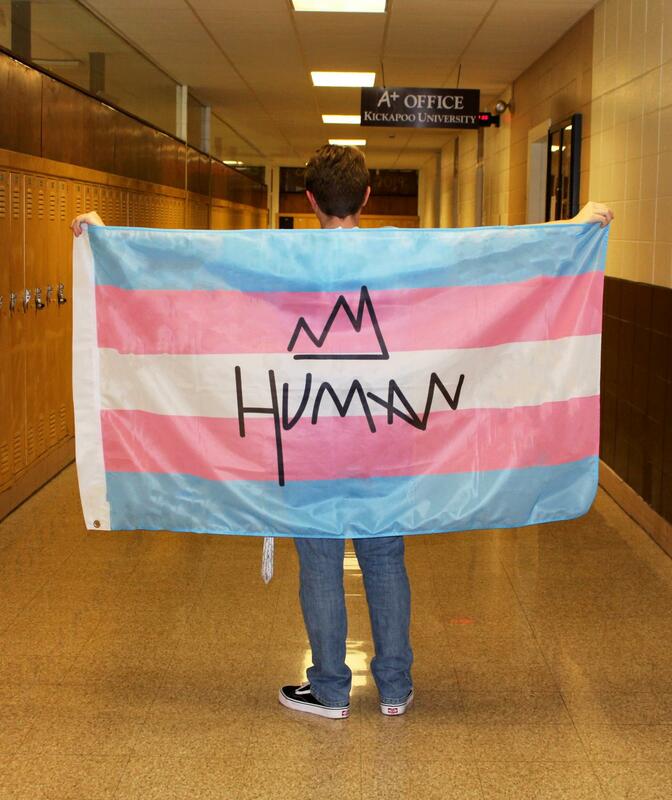 “Looking back, all the signs were there that Connor was transgender, I just didn’t get the clue. He hated dresses…pink and purple were not- allowed in his wardrobe. More often than not I was buying clothes in the boys section from age six on because that’s what he liked to wear,” Grimsley’s mother, Christy McClary, said. Being transgender was still a fairly new idea in society and it was not something many people talked about. It wasn’t until around 2015 that it started becoming a conversation topic. Grimsley had no idea his family’s views on being transgender and the thought of what his family was going to think was something he couldn’t fathom. “When I came out to my mom, she was supportive about it. She told all of our family over Facebook. My grandma unfriended her, called her a horrible mother. My uncle stopped talking to us, my aunt, my entire moms’ side of the family stopped talking to me and my mom. But my dad’s family, on the other hand, was 100% supportive,” Grimsley said. Although expressing who he was and his transition caused him to lose half of his family, that did not hold him back. He has a tremendous amount of support from the rest of his loved ones. And his peers are also very supportive. “I got treated with more respect, and I wasn’t talked down to anymore. Like you know the whole mansplaining thing, that never happens to me now. And when I approach another guy they automatically reach their hand out to shake my hand where as before they wouldn’t shake my hand,” he said. Everything really started to change in Grimsley’s life after he came out. He changed his name, was able to express himself freely as the person he knew himself to be by dressing the way he wanted to and participating in things he enjoy wanted to. People even saw him differently than before. He was not a shy, introverted middle schooler anymore. He was outgoing and vibrant to those around him. When he was still living his life as a girl, it was like people weren’t taking him as seriously and didn’t treat him like he was as mature. People would put him and his thoughts to the side. Grimsley perceives himself as “definitely much more confident” and “much more present, and I just feel like I’m more here now, instead of by myself in my own little bubble; I feel like I’m more out there.” “He now is confident, happy, and knows who he is as a person. It amazes me every day how different he is now that he is his true self,” McClary said. Telling others you’re transgender is difficult because “it is not something you just bring up in conversation.” he said. Many people close to him didn’t know about his transition. 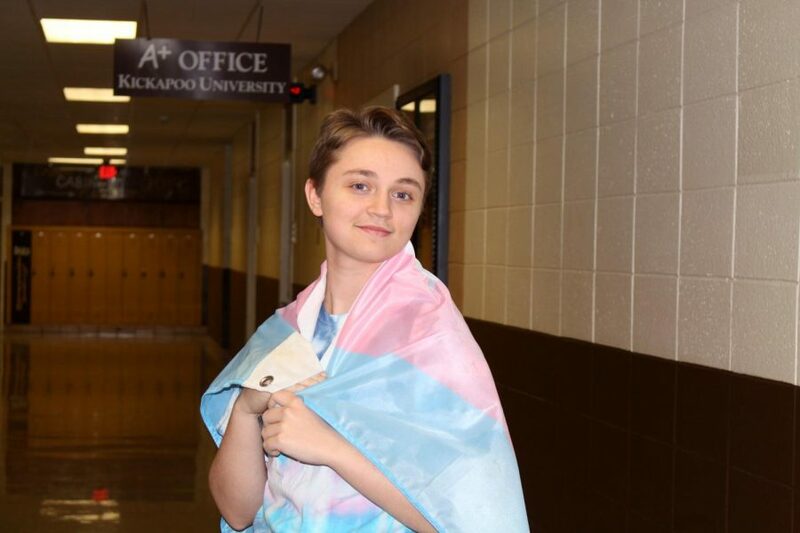 “My girlfriend right now, she didn’t even know until my birthday,” Grimsley said, “She told me that she was 100% surprised, that she never would have guessed.” His girlfriend, Kickapoo graduate Lauren Smittle, supported his journey from the moment she discovered he was transgender. “At first I was like “what?” but then really thinking about it I was like “he’s a regular person like anyone else and there really isn’t anything much different about him than anyone else,” she said. Keeping his past to himself has prevented a lot of discrimination that others who have transitioned have received. He has not been hated or bullied for who he is by his peers. However, being who he is has prevented him from participating in certain activities. “When I came from Cherokee to Kickapoo, before the school year even started, I met up with the counselors and the principal, I told them I wanted to do tennis. They told me that they would put me on the girls team because it wouldn’t be “fair.” So even though I wanted to do sports I didn’t because they told me I would be put on a team where I wouldn’t be comfortable,” Grimsley said. He had played tennis for fun and wanted to try out playing on a team. He didn’t think who he was would prevent him from participating, but he understood why. He included that he cannot join the military because he is transgender. He is also afraid it will affect his other career option of being a teacher. His only other encounter of discrimination was on a choir trip. Although he does not personally refer to these encounters as discrimination. “I’d signed up to be in a room with one of my guy friends, but I wasn’t allowed to according to school board rules. So I was put in a room by myself on a separate floor because it was too late to put me into my own room on the same floor,” he said. Grimsley is also very involved in the GSTA club at school, He and the GSTA club participate in activities with the LGBT community. He sees and hears discrimination from the others and wants those who encounter it to hear his message. “What they have to say doesn’t matter because if you’re who you are that’s just how it is and you can’t change that. That’s just a part of who you are and you can’t change who you are. You can’t just think oh I wanna be something else and just flip a switch. It doesn’t work. You can’t just chose to be gay or transgender or whatever. You are just who you are,” Grimsley said. 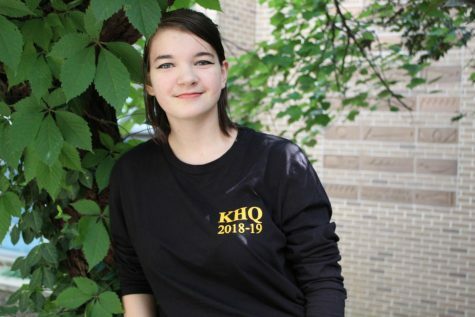 One might say that making popcorn is an easy task, but if you’re a student at Kickapoo High School, you would realize that that is not the case. Students believe that if they press the popcorn button on the microwave, then in five minutes their popcorn will be perfect. But in reality, five minutes is way too long, and your popcorn will be burnt to a crisp. 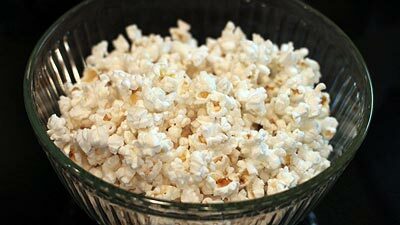 This is a step-by-step guide to making popcorn, and not burning it and setting off the fire alarm. First step, pick out the perfect popcorn bag; whether that be buttered or salted, the kind of popcorn is the most important process. Second, approach the microwave. Once you have gotten to the microwave make not to immediately click the popcorn button, no matter how tempting it may be. Third, open the popcorn bad and look at the instructions on the back of the popcorn and look at the cook time. Then lastly, place the bag in the microwave and type the time on the back of the bag into the microwave and voila! You should have perfectly cooked popcorn and the fire alarm shouldn’t go off. “If you pick up your bowling ball and you’re on the approach and you don’t know what you’re doing you’re in trouble,” sophomore Spencer Robarge said. Robarge is a bowler on the varsity bowling team. He’s been bowling for twelve years. “I spent so much time in the bowling center that it became second nature for me to be there for twelve-fourteen hours a day,” Robarge said. His mom started him bowling at a young age. While his dad would have preferred he play a different sport, he received endless support from his mom, brother, and grandma. “They’ve supported me taking me to tournaments all the time and watching me bowl,” Robarge said. He started bowling when he was four and soon after he was bowling competitively. “It was a lot of fun being really young and bowling, you didn’t really understand what was on only that you try to hit the most pins,” Robarge said. Over the years his love for the sport grew along with his knowledge and skill. “As I’ve gotten older I’ve realized it’s much more intriguing and much more intricate than I originally thought,” Robarge said. For him, bowling was the only sport he’s ever played. “I wasn’t fast enough to play basketball I wasn’t big enough to play football I didn’t have enough stamina for something like baseball I was really good at bowling,” Robarge said. “Nobody really understood what it was and as they got older, second or third grade, I got a lot of ridicule for it,” Robarge said. Another place he’s been able to find support is with his teammates on the lanes. “I’ve been on the team with him since a sophomore year but I’ve known him since freshman year,” junior Graham Mortimore said. From the beginning, Mortimore admired Robarge’s ability. “I remember first watching him and just being in shock about how good he was,” Mortimore said. Mortimore not only sees Robarge as a great bowler but also as an uplifting teammate. “He always takes the lead and gets up hyped up and gives us tips on how to improve,” he added. Growing up playing a nontraditional sport Robarge has been met with a few misconceptions. 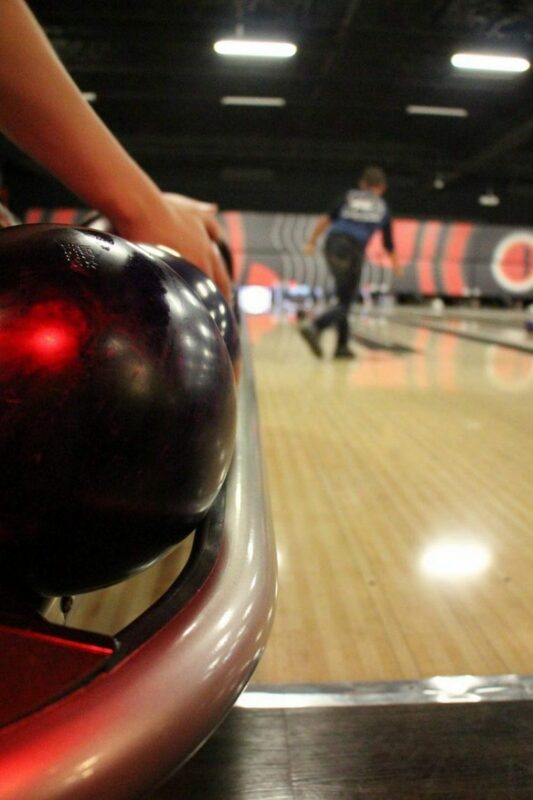 “Bowling is a sport you can do for the rest of your life. Go to Andy B’s on any afternoon and you’ll see older people that have been playing for years,” Robarge said. He combats nervousness with calm confidence in his abilities. His goal going in is always to win. “In my eyes, my job is to win the tournament, to make sure this kid who thinks he will win doesn’t,” Robarge said. He ensures his confidence in his playing through hard work and practice. Robarge spends anywhere from one to twelve hours a day bowling. Either working in the pro shop or bowling, his life is spent in the bowling center. “I really don’t like mediocrity if I can win, put the time in I’ve spent the last 60% of my life bowling, I’ve worked for where I’m at and my job is to work to stay where I’m at,” Robarge said. He also spends a lot of time studying. 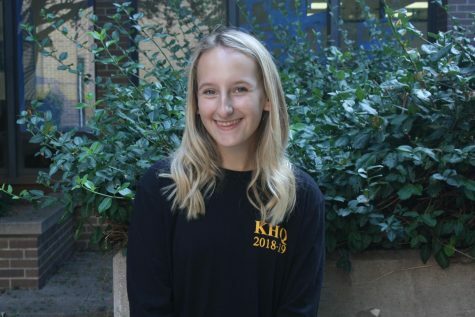 “It’s almost like school, you may be at school for seven hours but you’re doing school work for more than seven hours a day,” Robarge said. One way he stays calm during games is with a hard working and humble mentality. “If it doesn’t work out it doesn’t work out, all you can do is prepare better for the next time,” Robarge said. Robarge has had above average scores in tournaments in the last few years with the highest possible score being 300. “Between 230 and 250 in the last three or four years,” he said. He has scored 21 official 300 point games and is close to beating the youth bowling record with only ten more to go in the next four years. 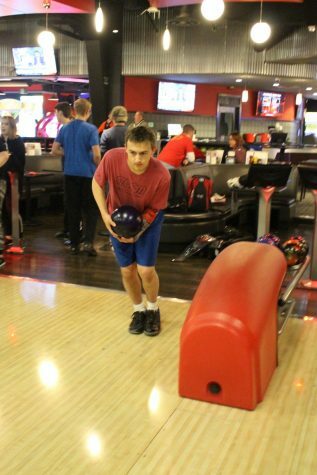 One of his main career goals is to work with storm bowling. Storm bowling is a leading bowling ball and bowling equipment manufacturer. “They’ve known me pretty well the last couple of years I have my foot in the door, they would allow me to go on tour which is my main goal,” Robarge said. Robarge has appeared in advertisements for this company within the last two years. “I want to work for them and hopefully make their company better than it is. With an already great company it’s a tough task ahead,” Robarge said. He is also interested in owning a bowling center when he’s older. 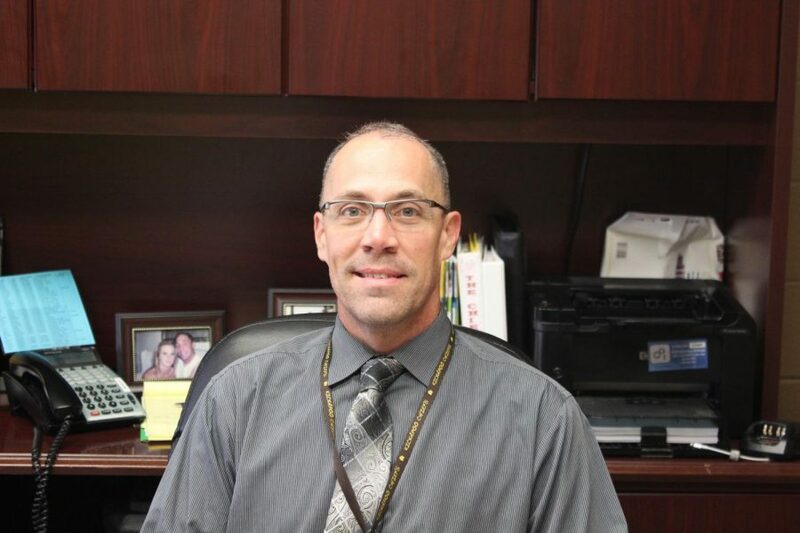 “I’ve been around it my whole life and I feel like I could really run a center successfully,” Robarge said. 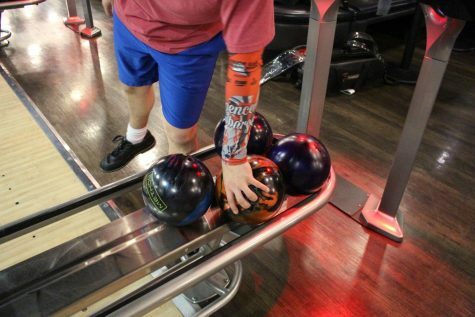 He wants to combine old and new styles of bowling centers by combining cosmic flashy style bowling centers with more traditional lanes for league bowling. “A lot of people only do one or the other and don’t do both and I think that’s where the gap is at,” Robarge said. Before he works in the bowling industry Robarge wants to go to college. He wants to attend a college with a good bowling team as well as a business program to help him later on. Through his bowling, he could receive either partial scholarships or even a full ride as some schools have already offered. “If I keep on I should be able to get a full ride because I’m not only a good bowler but also a good student. I will have academics as well as athletics,” Robarge said. Robarge would also urge people who want to try bowling to come out and try it. Throughout his athletic career, Robarge has paid for bowling through fundraising through different companies. In the next few months, he plans to start fixing up and reselling used bowling balls from his own home. “I’m going to buy bowling balls plug them make them look good, and sell them,” Robarge said. “I would definitely encourage younger kids to come out and try it and see if you like it,” Robarge said. Bowling has had an impact on his life and he wants to encourage others to play. “A wonderful thing about it is all the great people I’ve met,” he said. He is thankful for other athletes he’s helped throughout the years and hopes to spread a love for the sport. “I just want others to fall in love with the sport and hopefully grow the sport as a whole,” Robarge said. Alex Southard and his beloved drums. Nothing gets an assembly going like our drumline. Our drumline is one of the most appreciated sport of the arts we have at the school. The energy they bring to the gym every assembly is what many students look forward to. The crowd always gets the loudest when you hear that first sound of a drum come from the hallway. Senior Alex Southard has been in drumline for six years. “I started playing in sixth grade, but I didn’t really start taking it seriously until I got into high school. But now it’s my life,” Southard said. Southard’s skill is shown at assemblies for everyone to see. “We play some groovy cadence stuff for assemblies because it’s super fun and everyone loves it,” he said. But there is much more to drumline then what is seen at an assembly. “Competition is a whole other world,” Southard said. The amount of time spent getting ready for competition is monumental compared to assemblies. “It takes months to master a show. We perform on a big tarp while playing amazing music, running, and dancing,” Southard said. While performing at assemblies and competitions is fun, Southard’s favorite thing about drumline is the social aspect. “The best part about drumline is making memories and the people I’ve met. In these last four years I have made many friends that I will remember forever,” he said. Southard plans to continue his drumline career after high school. “ I plan to march for Missouri State, and eventually tryout for Gateway Indoor,” Southard said. Gateway Indoor is a percussion group out of St. Louis that competes nationally. 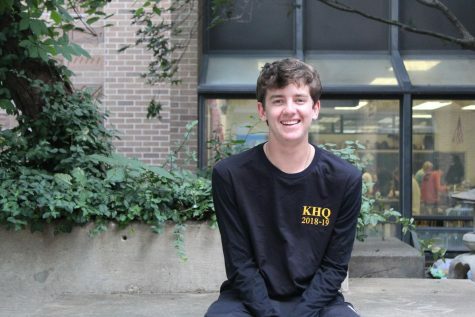 Kickapoo student learns how to make profit as a young entrepreneur. Many students desire a way to make quick cash. Senior Andrew Sweet found a way to do just that. Sweet is a self-proclaimed businessman. Sweet has a personal shoe resale business that runs on a small scale. He started his business off with just selling in-style shoes he no longer wore on various social media platforms to friends. Once he saw that this could be a business opportunity for himself, he looked into buying more products. 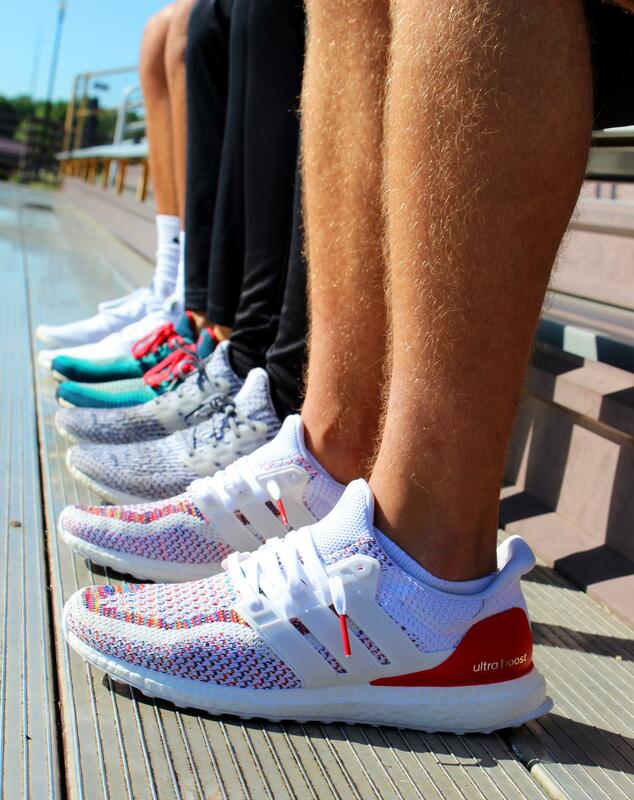 He now buys name brand shoes, specifically Ultra Boosts and NMD’s-types of Adidas shoes through various sources at a discounted rate. He then sells them at a marked up price allowing a 30 to 35 profit percentage, depending on purchase price from the seller. “Being able to make purchases and sales is something that interests me greatly. I like being my own boss and making the executive decisions that determine my profits on a daily basis,” Sweet said. Sweet has always had an entrepreneurial mindset, with that mindset he is always seeking new opportunities to pursue business that other have not looked into. “Since I was younger, I always wanted to make money. I did that by washing cars and mowing,” Sweet said. As an entrepreneur, Sweet loves selling shoes and getting people exactly what they want at a discounted price, while still profiting. While Sweet is selling shoes, he is also gaining other business experience. “Along with this job, I also have my own mowing business in the spring and summer months, and a personal snow blowing business that I operate in the winter,” Sweet said. In the future, Sweet plans to continue his career by attending Missouri State to study business and marketing. 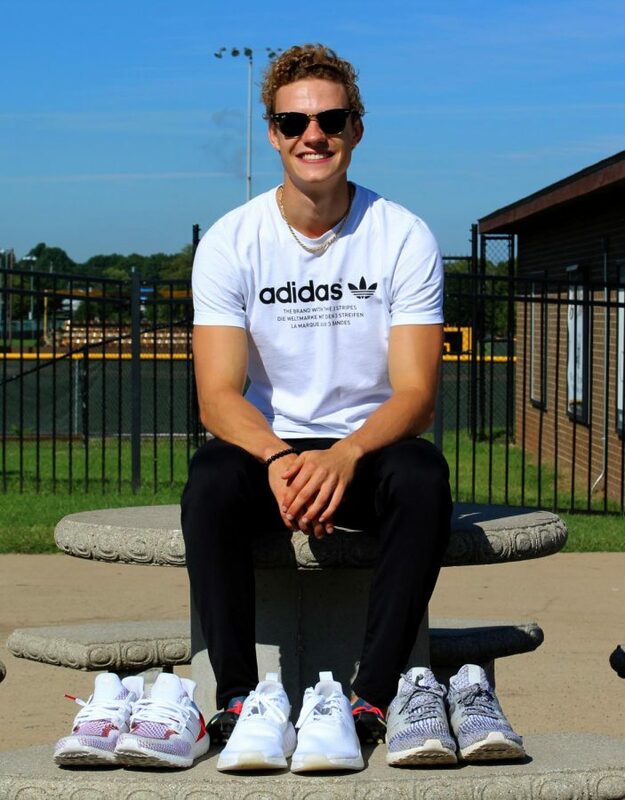 After completing college, he plans to open a larger resale business or start a shoe line of his own that will continue to make him successful. “Essentially I just want to be my own boss and control when I work and don’t,” Sweet said. 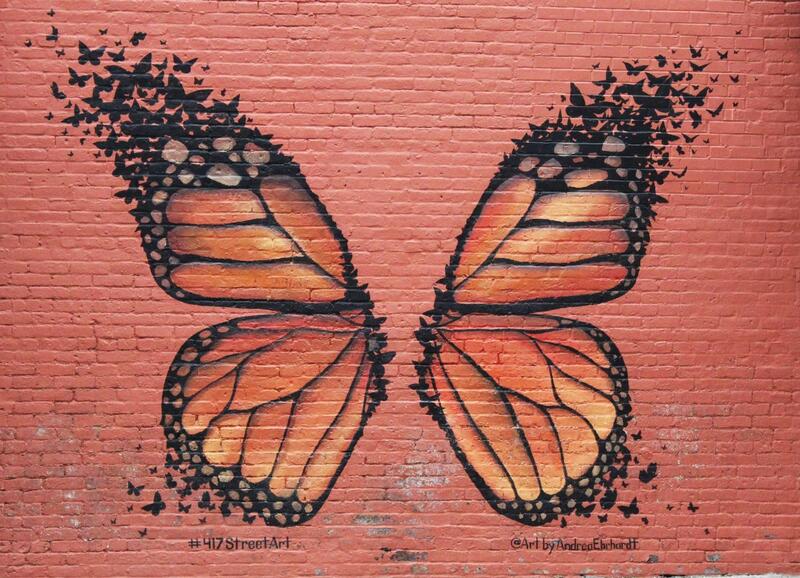 A beautiful butterfly that is painted on a brick wall in the center of downtown Springfield. 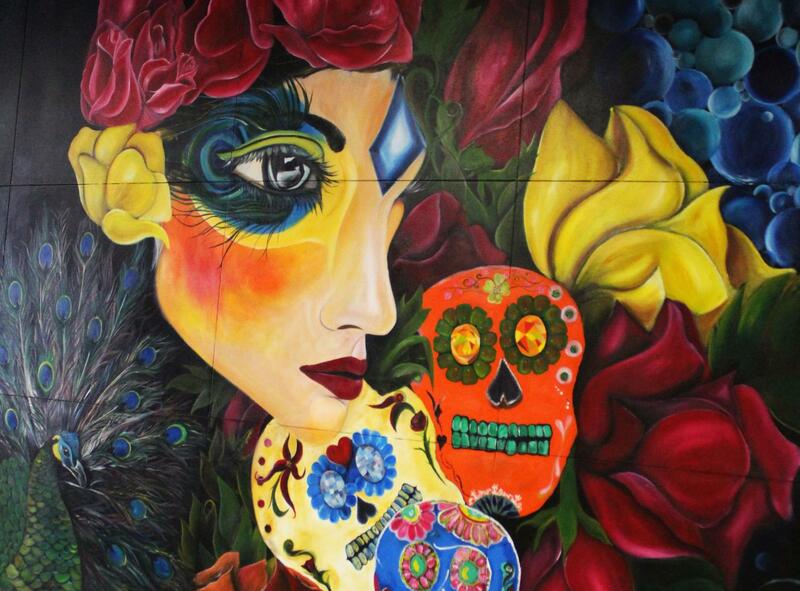 Sugar skulls that give downtown a taste of a different culture. 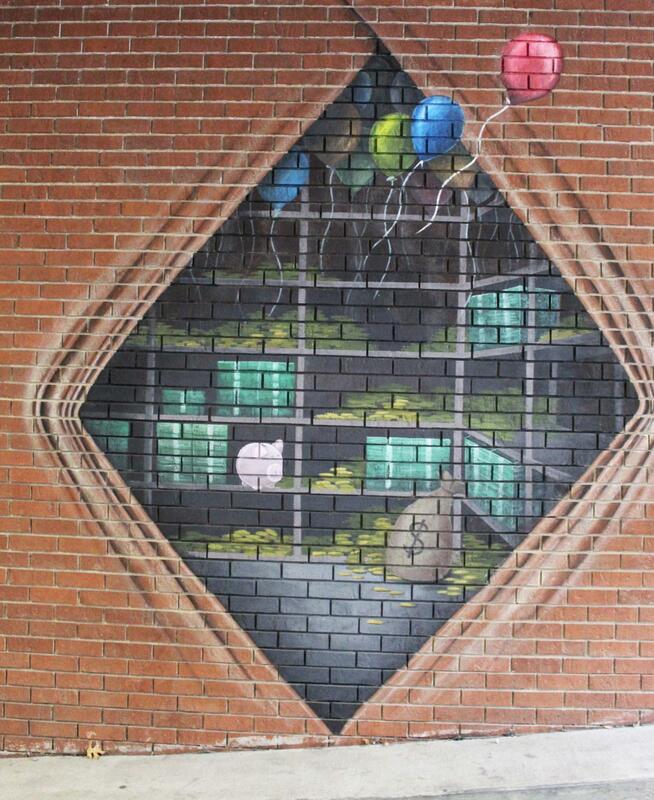 A bank vault with money hidden inside plastered on a brick wall in an alley. 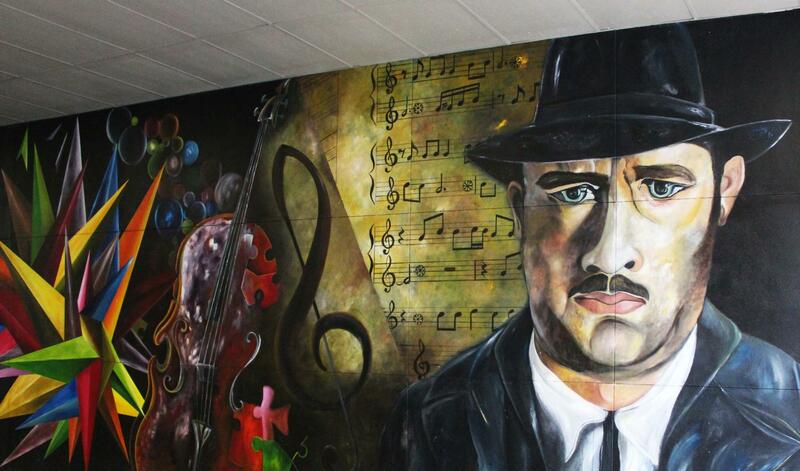 A jazz musician and music notes floating on a wall on a side street. Springfield, Missouri is home to many interesting things (the world’s largest fork? 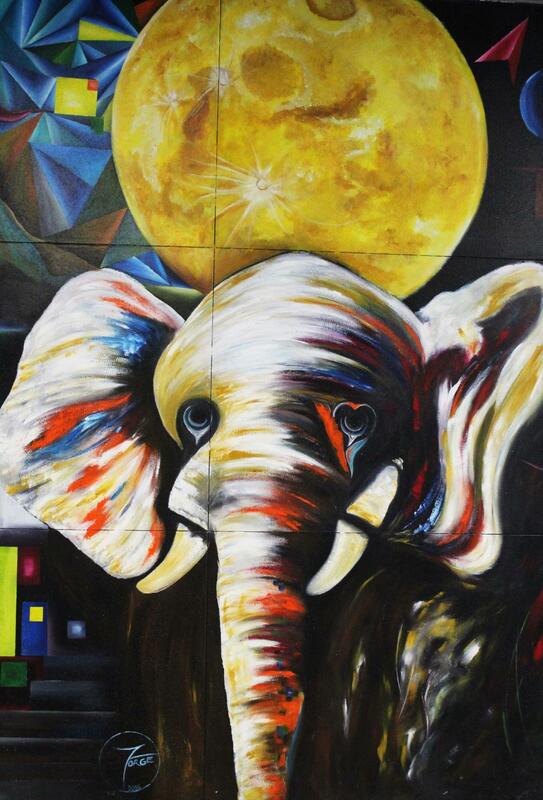 ), but nothing rivals the beautiful street art featured downtown. Perhaps the most Instagram-able art is the famous butterfly. During the summer, it isn’t odd to see people posing in front of the painting as if they had wings. 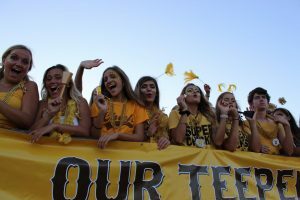 Do you feel as connected with the student body since Kickapoo has more students than Cherokee? "Yes and no, that has been the easiest part of the transition." Student Council has just wrapped up work on How Night and are now beginning to prepare for Homecoming. The dance will be held on October 19th after a football game and will be held in the Kickapoo Commons. “It’s a tradition, its a great way for kids to dress up and enjoy themselves,” Student Body President Kennedy Shanklin said. The student council will spend much of the next few weeks working on decorations for homecoming. 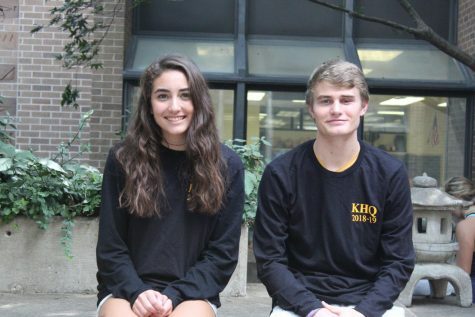 While they meant to announce the theme for homecoming at How Night, the student council never did, leaving the students of Kickapoo in the dark until they finally unveil their plan. WHAT IS ALEX’S BIGGEST FEAR? WHAT IS ANNABELLES MOMS MAIDEN NAME? WHAT IS ALEX’S FAVORITE FOOD? IF ANNABELLE COULD BE ANY ANIMAL WHAT WOULD SHE BE? WHAT IS ALEX’S FAVORITE KIND OF POPTART? WHAT DOES THE OTHER PERSON DO THAT ANNOYS YOU THE MOST? -No real meaning. “It looked really nice to me,” Atnip said. -Future tattoos: “I want to get the constellation of my zodiac on my arm,” Atnip said. -Meaning: “The meaning of the tattoo is I came, I saw, I conquered in latin,” Pearson said. -Got her tattoo a few days after her 18th birthday. -Meaning: “It means love yourself in Spanish. I think that self love is incredibly important,” Padron said. Pain scale: 1 out of 10 “It was just a weird sensation” Padron said. – Meaning: “I got it with my mom and it has a religious meaning,” Cole said. Future tattoos: “I want to get a tiny rose on my hip. I also want roman numerals of the day i got baptized,” Cole said. -Got his tattoo when he was nine years old. -Meaning: The rose was for his aunt Kelly who passed away. -Future tattoos: “I want a tattoo on my chest that says family first,” Weatherspoon said. -Got her tattoo October 13, 2017. -Meaning: “It was my grandpa’s favorite flower, and mine as well.” Padron said. Future tattoos: “I’m gonna add onto the rose and have it going down my leg,” Padron said. Jeb Jarman (left) and Chase Kruse (right). WHAT IS JEB SCARED OF? 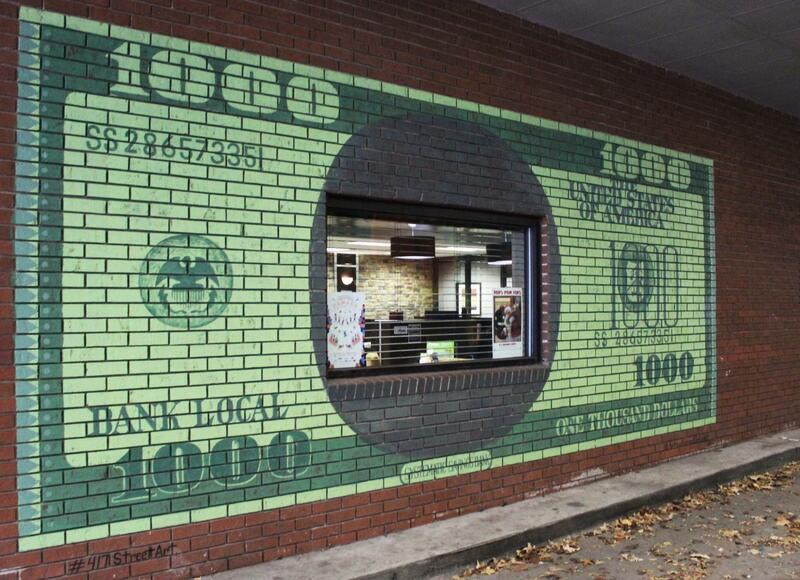 WHAT WOULD CHASE BUY IF HE HAD $1,000,000? WHO IS JEB’S CELEBRITY CRUSH? WHAT IS CHASE’S BIGGEST PET PEEVE? WHAT IS CHASE’S FAVORITE KIND OF POPTART? If you're nosy and wonder what people have been lugging around in their bags, then all your questions have been answered. 73.5% of us have a computer or phone charger. 75.6% of students have a water bottle on them. Hydration is important! 23% of students have mints and 53% have gum. 60.5% of students reported having chap stick in their bags and 17.2% have makeup. 32% of kids have lotion stored in their bag. 26.4% of students carry an SD card or flash drive. 45.3% of students keep deodorant with them. Gotta smell good! 67% of students have food with them for snack time and lunch. 15% of students have a hairbrush for when they’re having a bad day. 39.9% of us have our keys with us. Only 11.3% of students are prepared with a dongle (iPhone earbud adapter). 66.8% of us have money in our bags. I wonder how many thousands of dollars enter and exit the building every day. 24.3% of students reported having hand sanitizer, which is important, especially in flu season. 75.2% of kids have books in their backpacks. How studious! Les Miserables is one of the theater’s biggest performances of the year. The matinee was on Wednesday, November 15th, during first and second block and cost five dollars per person. The department will also be holding performances Thursday – Saturday at night on November 16th-18th. This costed six dollars a student and ten dollars for adults. The students have put a lot of effort into this production and look to show off their hard work and talent on the stage. One of the students fully embraced her role in the play. Senior Mckenzie Paquin was cast as the role of a younger boy, so she cut her hair to more realistically play this role. “I actually think playing as a boy is helping me grow a lot as an actress because it’s really making me conscious of all my body movements and how I act with my fellow actors on stage during production,” Paquin said. The theater department is hoping to see many students show up and support all of their hard work. “We put a lot of time and effort into the show and hope to see as many people as possible show up.” Senior Wesley Brian said. This is the departments the first production of the year, so if you went to support they really appreciate it. They also will have a junior musical and a spring play. They had a good amount of support of their first musical and would appreciate it if they could receive the same type of support in upcoming plays. Tyler Baremore (left) and Matt Whalen (right). WHAT SIZE SHOE DOES MATT WEAR? WHAT IS YOUR MOST COMMON SHARED INTEREST? WHAT DOES TYLER DO THAT ANNOYS YOU? Highfill: At Kickapoo, everyone always got us mixed up. WHAT DOES MRS. HIGHFILL DO THAT ANNOYS YOU? WHAT IS MRS. HARRIS’ FAVORITE OUTFIT? Goals you can set to better yourself in 2018. Read more! Take the time to crack open a book and read because who are you kidding you don’t read for pleasure anymore. Stop procrastinating! Buy yourself a planner, lay out a schedule for getting your work done, do whatever it is you have to do to get yourself to do your work on time. Get active! Lay out a workout plan for yourself to help get in shape. It’s never too early to start working on your beach body. Cut back on the caffeine and sugary drinks! It will make you less jittery, it’s healthier for you and maybe it’ll help you go to bed earlier. What Do Students Think of ALEKS? 88% (175 out of 200) of students said that the use of ALEKS in math classes did not benefit their learning experience. The implementation of chromebooks into the learning curriculum has led to a heavier reliance on the learning system called ALEKS in math classes, and the student body is vehemently against it. ALEKS (Assessment and Learning in Knowledge Faces), “Is a Web-based, artificially intelligent assessment and learning system that uses adaptive questioning to quickly and accurately determine exactly what a student knows and doesn’t know in a course,” according to their website. There are numerous things wrong with the entire process, however that makes the website frustrating and tedious to use. When you first begin to use the program, you are forced to complete a “knowledge check” that is supposed to measure a students’ knowledge on the intended subject, and then you are given topics to work on based off of how well you do on the knowledge check. However, this means every student is beginning at a different starting point, and everyone is working on something different. So if a student does too well on the initial knowledge check, you will soon run into topics that are becoming too advanced. If a student does poorly on it, they are working on easier topics that might be behind the level at which they should be learning at. 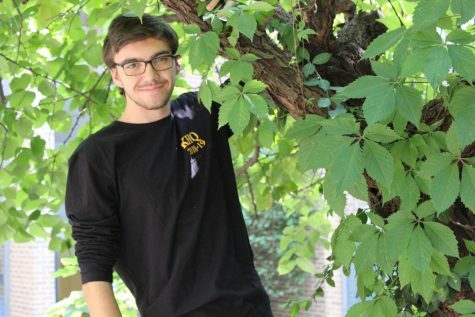 For senior Matthew Garnier, one of the most frustrating parts about using ALEKS is how it difficult it can be to move forward at some points. “If you get stuck on one topic it’s impossible to move forward because you can’t skip them. Sometimes you have to get past a topic to unlock the other topics we need to do, so if you get stuck on that topic, you can’t keep going,” Garnier said. Another one of the most frustrating part of using ALEKS is how you have to complete a topic, which Garnier says can be a nuisance. “You have to get three question right to advance past a topic, so it’s annoying when you get one wrong and it takes away one of your right answers,” Garnier said. Junior Grace Oneal also uses ALEKS on a weekly basis, and has her issues with it as well. “I dislike using the program because I feel like I’m just doing busy work. None of the topics we are given help me learn the material,” Oneal said. Oneal also feels that the increased use in ALEKS has led to her struggling more in her Trigonometry class. “I feel like I’m behind in the class. I liked it much better when I didn’t have to do ALEKS every week and I feel like my grade was better too,” Oneal said. A survey was conducted to see what the entire school thought of ALEKS, and the results showed that the majority of the school doesn’t like using ALEKS either. Out of 200 students surveyed, 89% of students said they had previously used ALEKS. However, almost the same number of people, 88% of people surveyed, said that the use of ALEKS did not benefit their learning experience. If so many students agree that ALEKS isn’t helping them learn math, why should it be a part of the curriculum? Something needs to be done, whether that is reducing the use of ALEKS in math classes or removing it altogether, to help alleviate the problems it is causing students in the classroom. Skateboarding is a rather difficult hobby but can be lots of fun if you get the hang of it. Even going for a ride with friends can be a great bonding experience. Riding a bike is a great way to go outside get some fresh air and enjoy a beautiful day and get a little bit of an exercise also.